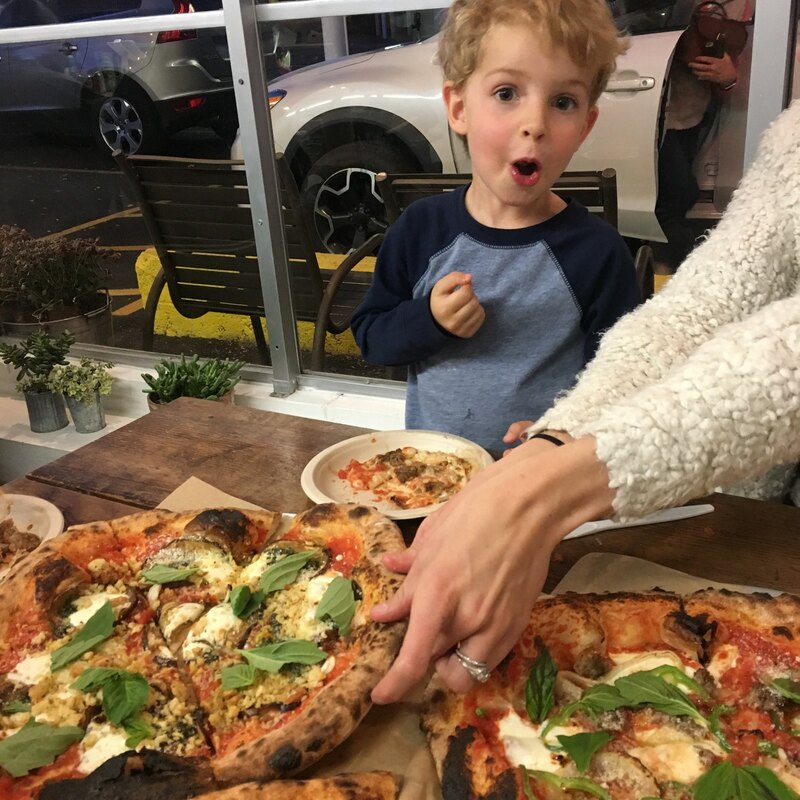 “This might be the best slice of pizza I’ve had in my entire life,” my wife Jessa said as she bit into a slice of the “Eggplant Parm” pizza from Pizzeria Lui. I looked over at Jessa, and she raised her eyebrows, nodded her head affirmatively, and took another bite. I had been busy cutting up the mini bites of pizza for our kids and had just spent about 30 minutes waiting for a parking spot at this tiny restaurant that used to be a liquor store on Mississippi Ave. at Sheridan Blvd. This part of town/the country/the world is not exactly known for producing world-class pizza. But I trust my wife in all things, of course, and especially when it comes to pizza. After hearing her make a statement like that, I quickly finished cutting up enough pieces to placate our screaming toddlers and dug in myself. The physical space for the Pizzeria Lui restaurant is about as unassuming as can be–but the pizza is outstanding. The pizza was damned Good. I don’t think that the crust could have been any better. Cooked at 900 degrees, it was perfectly (I mean perfectly) crunchy on the outside and soft as a pillow on the inside. I usually like my pizza toppings on the hearty side, so an “Eggplant Parm” pizza would probably not be something I would ever have ordered on my own. But I’m so glad we got it–it was definitely one of the best pizzas I’d ever had, too. Roasted eggplant, fresh mozzarella, pesto, garlic, parmesan, and breadcrumbs all combine to make this pizza absolutely phenomenal. You just have to taste it for yourself–words don’t do it justice. We tried three different pizzas when we were there, but I wish I could have tried them all. Check out the menu. The “Baked Potato,” “BBQ Pork,” and “Street Taco” pizzas all look amazing, but I don’t think you can go wrong. 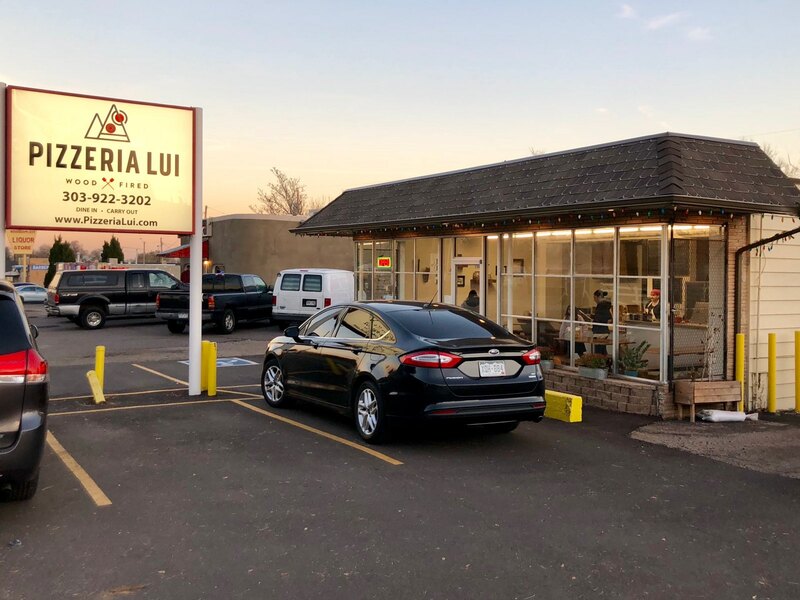 Pizzeria Lui is located at 5380 W. Mississippi Ave. Interested in living nearby? Click here to search nearby homes for sale. 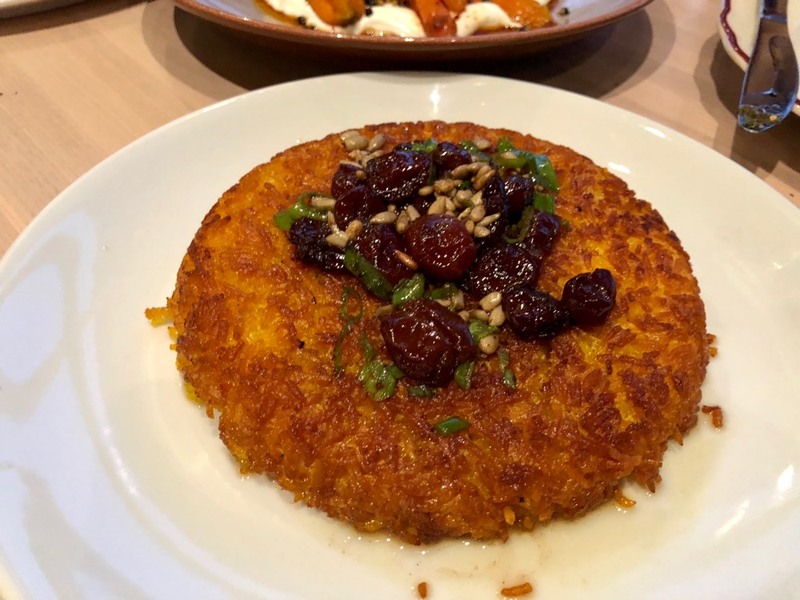 Late last year my wife Jessa and I visited New Orleans and ate at Shaya, the namesake restaurant of Chef Alon Shaya and the recipient of the James Beard Best New Restaurant Award in 2016. Of all of the amazing restaurants in the city, we chose to go there because after asking around about where we should eat in New Orleans, it was the only restaurant that came up on nearly everybody’s lists. Our meal there was absolutely phenomenal. We then went to two other restaurants that Chef Alon helped launch, and from there, we were hooked. 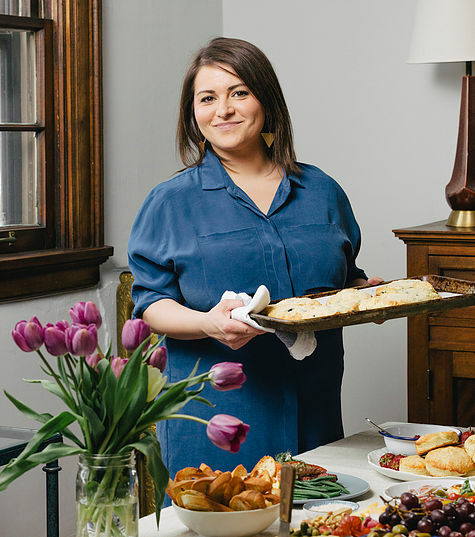 Things only got better from there: in early 2018, Alon Shaya’s cookbook/memoir Shaya: An Oddessy of Food, My Journey Back to Israel was released. We ordered a copy, as did several friends of ours, and had a potluck dinner party exclusively with dishes from his cookbook. It was definitely one of the tastiest dinner parties we’ve ever experienced. And then Safta opened here in Denver. We jumped at the opportunity to make a reservation on the opening weekend in late August. The restaurant is housed within the new Source Hotel which opened earlier this month, and the space is wonderful. The simple design features an open kitchen where you can watch the food be prepared while you eat. The restaurant overlooks the mountains, so at dinnertime we were treated to an idyllic view as the sun made its beautiful retreat behind the mountains. The food, though, was where the restaurant really shined. 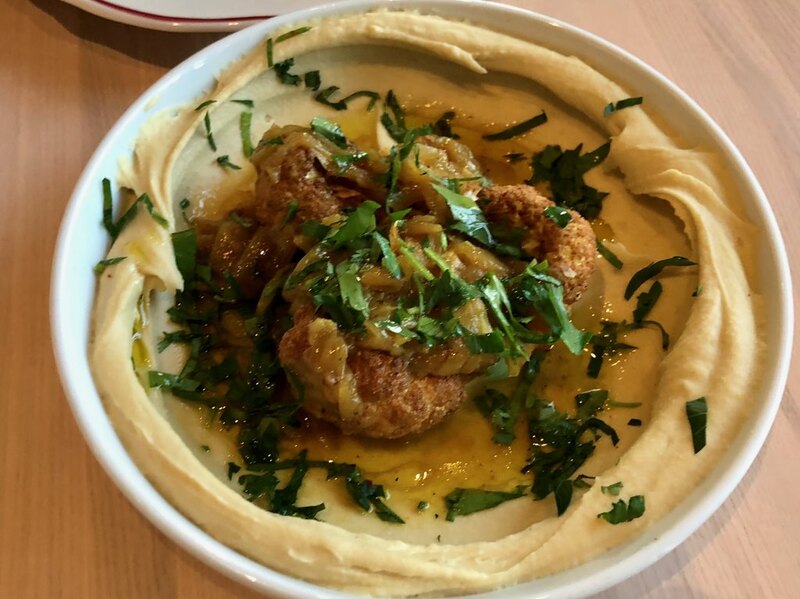 We started off with lamb hummus and the cauliflower hummus. Freshly made pitas came straight from the oven to our table, and we devoured it along with the hummus. The five salatim plates we ordered ( watermelon and Bulgarian feta, pickles, labneh, baba ganoush, and tabouleh) wereall were divine. At this point, I was pretty sure that the food had put our friend Ellen, who was 36 weeks pregnant, into labor. She was reclining, and it seemed like something had changed within her. But, no–something had happened to all of us. We were eating one of those meals you just don’t forget, and our bodies were savoring every moment. We soldiered on to the main courses sharing it all with each other. The crispy eggplant was incredible. The Persian rice was outstanding. The whole roasted cauliflower was absolutely amazing. 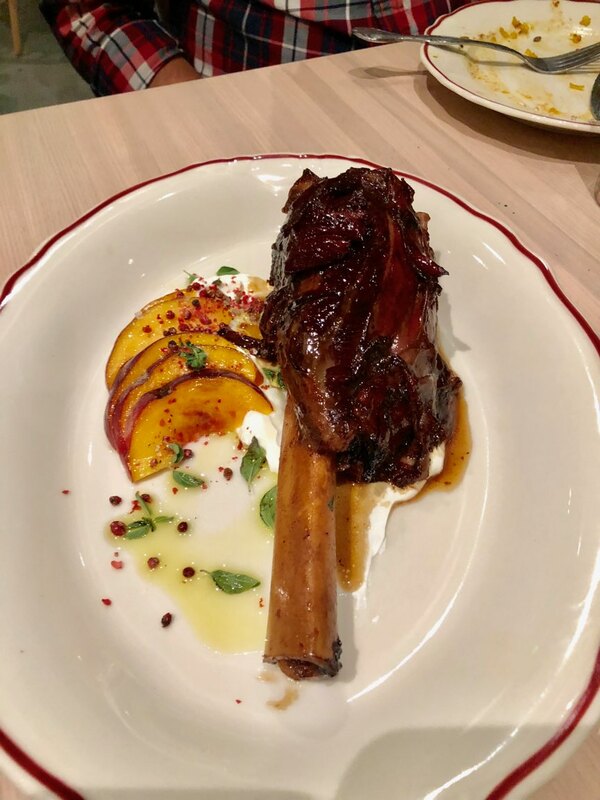 Just when we thought we had no more room for food, we finished off the main courses with a massive lamb shank that was the best I’ve ever had. 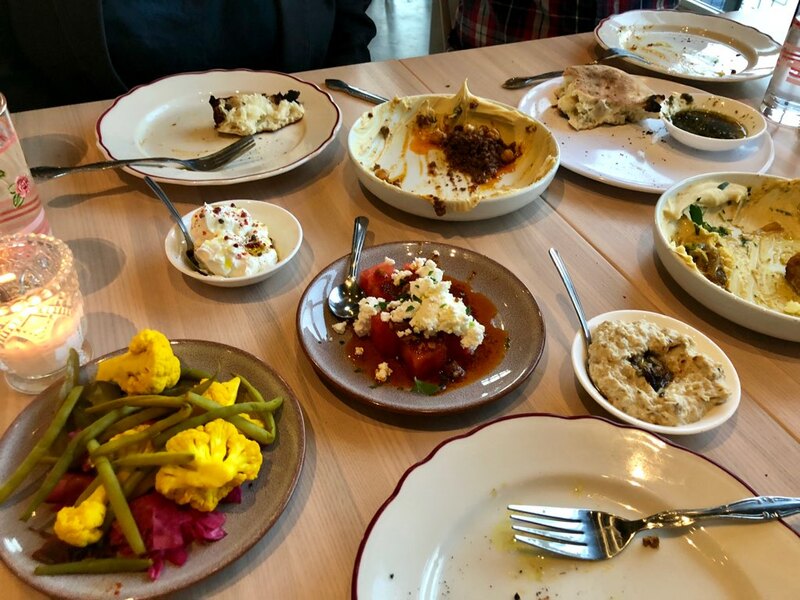 Safta is one of the most exciting new additions to the Denver restaurant scene, and if you haven’t been in yet I strongly encourage you to give it a try! 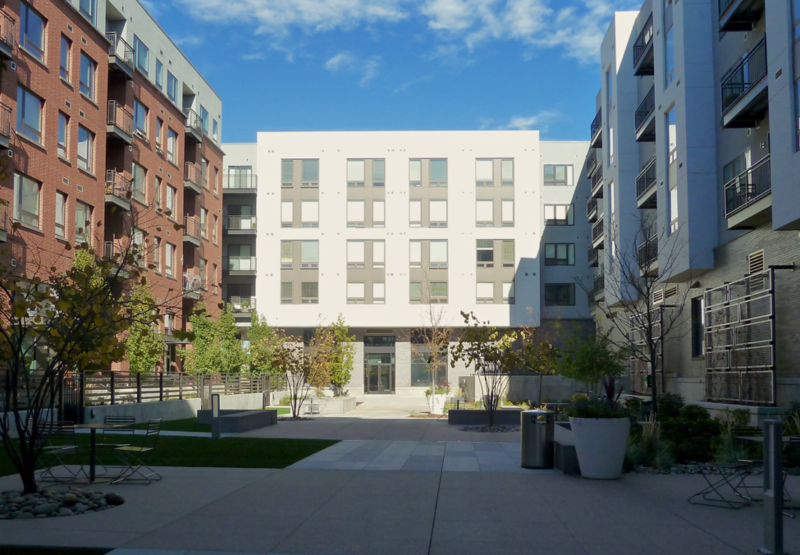 Interested in living near Safta? Click here to search nearby homes for sale. We were trying to get both of our kids in the seats on our brand new Yuba cargo bike from SloHi Bike Co. Trying is the key word—what was actually happening was total chaos. Our one year old was flailing on the floor and screaming. Our two year old had just knocked over a box of bike parts and was wailing too. It was not exactly the scene most bike shop owners would want to be dealing with in the middle of a busy day in the middle of their bike shop. We had just gotten back from an amazing vacation in the Alps two days prior, and both of our kids were still extremely jet lagged. The bike was a gift between my wife and I for our five year wedding anniversary, and we couldn’t wait to take the kids on their first ride. The Yuba cargo bikes are awesome–they can carry multiple kids, a grown adult, groceries, camping gear, and more, and SloHi helped us outfit ours all of the necessary accessories plus an electric motor to make it easier to handle the extra weight. The kids were more interested in naps that, on Europe time, were about 8 hours overdue. “Just so you know, guys, the kids are not a problem at all. I don’t even hear them. I’ve got two young kids myself,” the owner of the shop, Adam Williams, calmly told us. It alleviated the stress, and were able to successfully load up the kids and get them out on their first ride. A few minutes into our inaugural ride, we were loving it but had a couple questions about how to use the electric motor. Rather than talking through our questions on the phone, Adam rode his own bike 10 blocks to come meet us and walk us through it in person. We couldn’t have asked for better service. As someone who has ridden tens of thousands of miles on a bike throughout the United Sates and across Europe, I know a thing or two about bikes. But buying a bike with kids in tow was a new experience for me—and SloHi Bike Co. made it super easy. 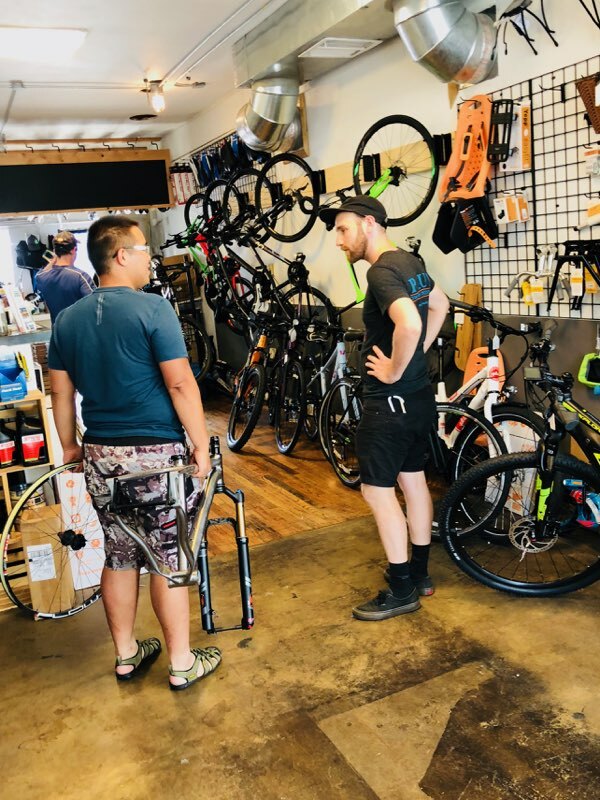 Whereas most bike shops focus on high end road bikes and/or mountain bikes, SloHi Bike Co. caters more to families and specializes in the sale of cargo bikes, kid bikes, and city bikes. They do a great job at it. The 29th Ave. shop may be small, but it is actually the largest brick and mortar Yuba distributor in the country. It has been open since 2013, and business has been steadily growing since then. Adam is enthusiastic and knowledgeable about bikes, but what really makes him happy is building a sense of community. That was the thought behind attaching a coffee shop to the bike shop, and if you go in on any given day, you’ll find kids getting their bike tires inflated, young professionals answering emails, and friendly employees helping people with whatever they need. The entire experience really takes the stress and intimidation factor out of buying a bike—or just a cup of coffee. And, of course, the bikes themselves are awesome! We’ve now had ours for less than a week and have already ridden it every day. Our kids love it, too (as long as it isn’t nap time). 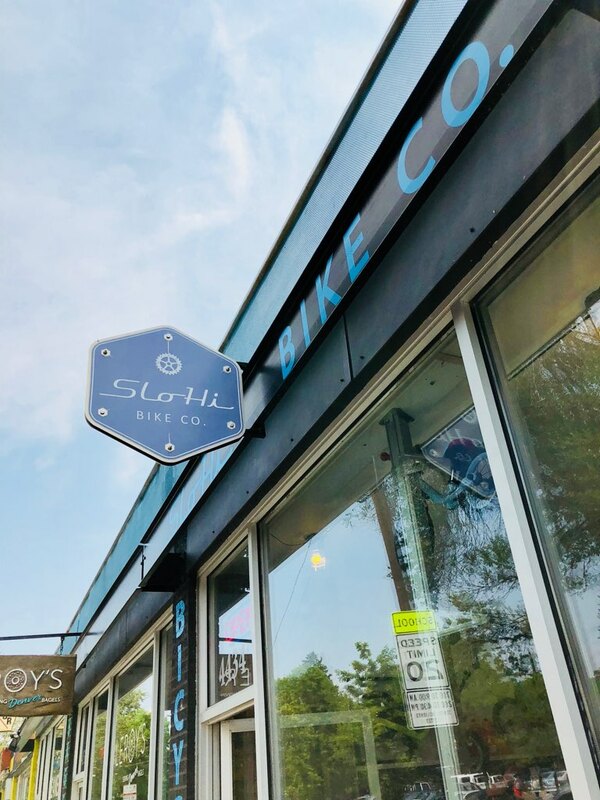 SloHi Bike Co. has two locations in Denver: one at 29th and Tennyson, and the other at Colfax and Steele. 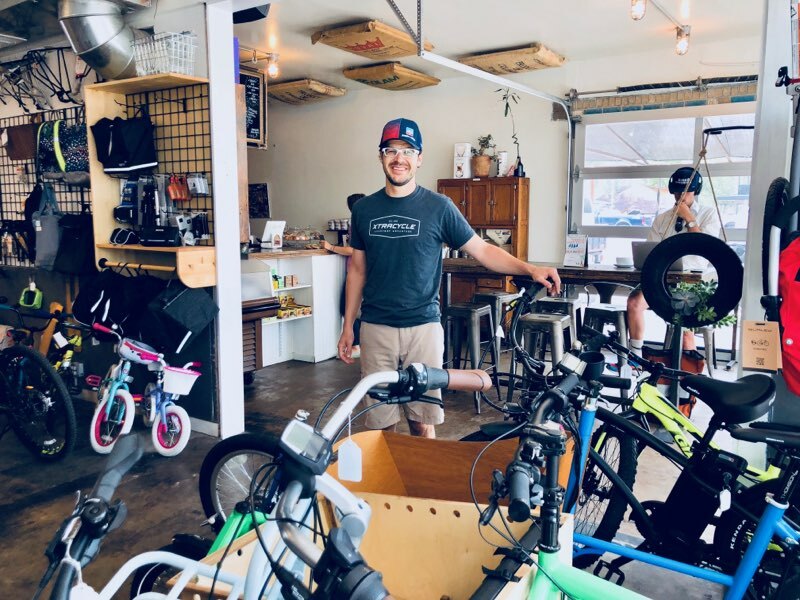 SloHi sells cargo bikes, kid’s bikes, city bikes, mountain, and road bikes. 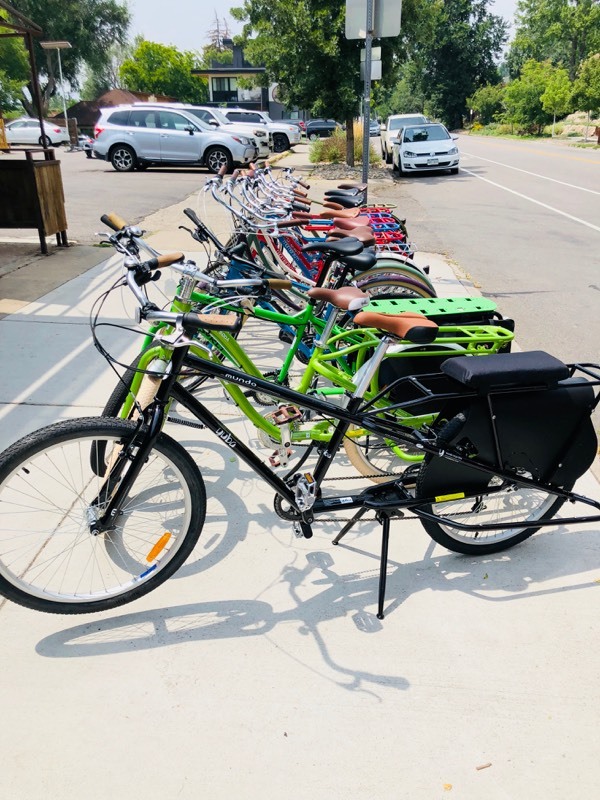 It also offers hourly, daily, and weekly bike rentals (and you can demo bikes and apply the rental cost to a purchase). Interested in living near SloHi Bike Co.? Click here to search nearby homes for sale. 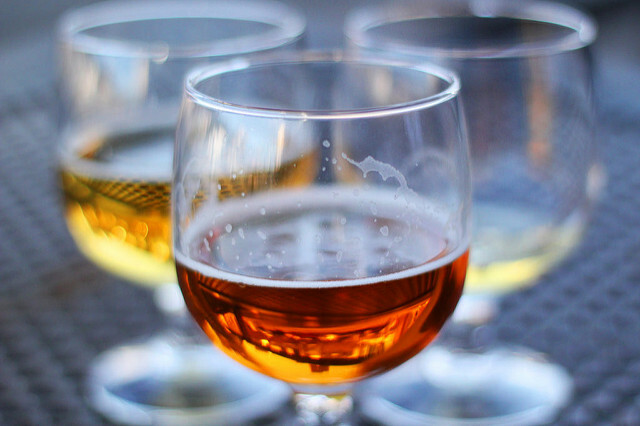 It is no secret that Colorado produces more beer per capita than any other state. Rightfully named the “Napa Valley of Beer,” it helps that Coors Brewery, the world’s largest brewery, is located next door to Denver in Golden, Colorado. However, new microbreweries keep popping up in Denver like daffodils in the springtime. Sure, microbreweries are still making your classic IPAs and lagers, but they are experimenting with wild and diverse ingredients that really benefit the adventurous drinker. With new tasting rooms opening across the city, we thought we would narrow down some of your options. Here are some of Denver’s most unique breweries and some of the hidden beers you shouldn’t pass up! Banana Stand Hefeweisen, from Chain Reaction Brewing Company at 902 S. Lipan Street has unique notes of banana and cloves. The brewery was named after Newton’s third law of motion that states, “every action has an equal and opposite reaction,” and this beer is easy to enjoy on a warm day with a little spice to awaken your taste buds. While you’re there, check out the Pink Peppercorn Saison as well that is smooth with little pepper kick. Ever heard of Little Machine Beer at 2924 W. 20th Avenue? “Their beer names are as unique (and entertaining) as the beers themselves,” remarks fellow Denverite, Brendan Hufford. For example, try the “Limel Richie” Lime Lager and the “Razz Against the Machine” Tart Ale. Both beers are refreshing, crisp, dynamic and zingy. A new collaboration is in the works for Cerveceria Colorado at 1635 Platte Street, which is set to open today (Cinco do Mayo) to bring the diverse flavors of Mexico to Denver. Their beers use Mexican ingredients and flavors such as cinnamon, chiles, nopal, chocolate, mole, lime, and agave. As their mission suggests, let’s build bridges, not walls. Hogshead Brewery at 4460 W. 29th Avenue has a unique Porter that is served two different ways. You can choose to drink it on tap or drink it on cask. You can’t go wrong either way, but the brewery calls themselves “purveyors of cask conditioned ales,” so I know which route I would take. The Porter is roasty and spicy, but also smooth with a chocolatey, fruity finish. Black Project Spontaneous & Wild Ales at 1290 S. Broadway St. offers sour and complex, often experimental beers. The brewery started with a mission to take historic recipes and add a modern twist, and they are good at what they do. As the co-founder Sarah Howart puts it, “sour beers have such character and nuance that really can’t be expressed in any other way. The way it dances on your palette and the way it pairs well with food is unrivaled when comes to other styles.” Black Project’s beers are often rotating and not all dark, but try Tomcat if they have it, which is a Whiskey Barrel Aged Imperial Stout full of robust flavor. If something lighter is more your style, their Magic Lantern: Apricot Blood Orange Gose is one of a kind. Lastly, if hoppy beers are your thing, go to Cerebral Brewing at 1477 Monroe St for their Rare Trait IPA. This beer has rich notes of tangerine, mango, and peaches that bring together a hazy, bitter, yet smooth beer. As the name suggests, it is rare to find a beer as good. Cheers to all of Denver’s amazing unique beers and breweries! Guest contributor Dorothy Goodman is a Denver-based writer, homesteader, and baker. 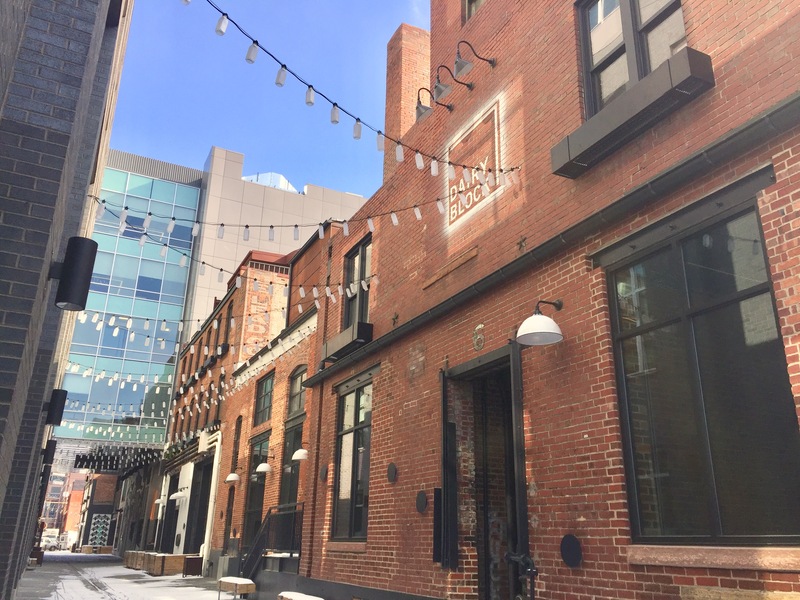 Development in Denver continues to move in bold new directions, and Dairy Block offers one of the latest examples of the new ways developers are approaching mixed use projects in an urban setting. Dairy Block stretches across a city block in LoDo, between 18th and 19th, Wazee and Blake. 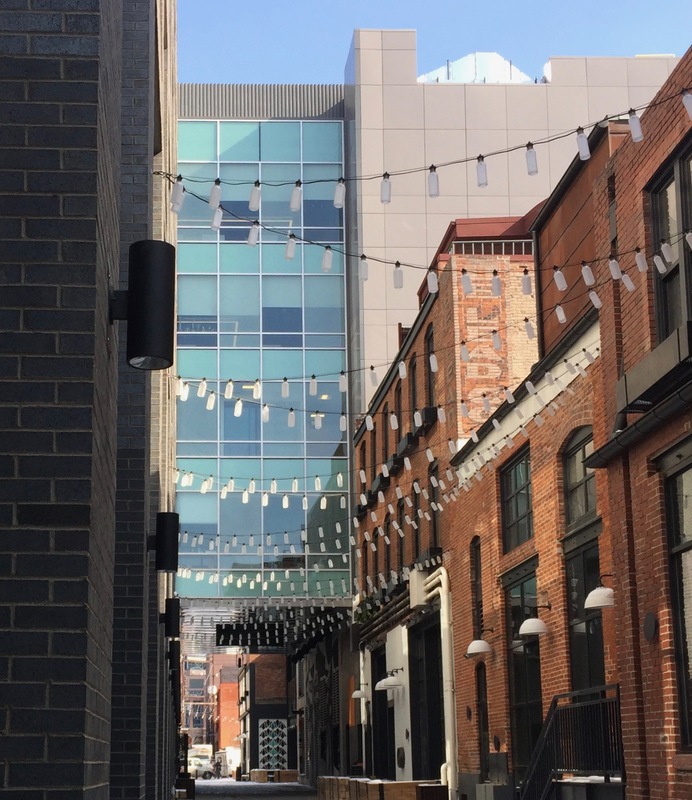 The concept combines a hotel, restaurants, and the city’s first “activated” alley with shops, bars and restaurants. 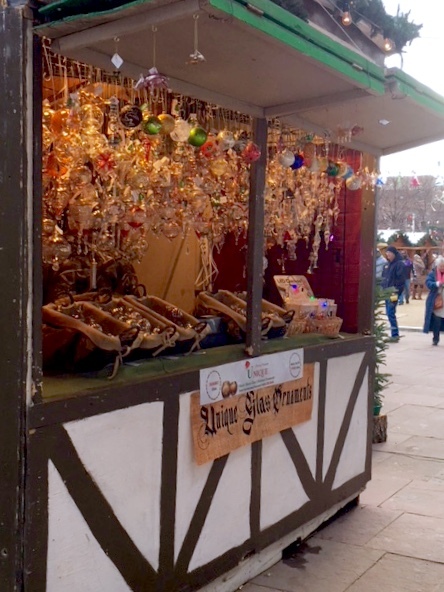 It is reminiscent of Stone Street in New York’s Financial District, Ankeny Alley in Portland and, with the lights strung above, Denver’s own Larimer Square. The block was once home to Windsor Dairy, built in 1918. Cheese, milk and butter were processed in there until 1928, when Meadow Gold purchased the property. 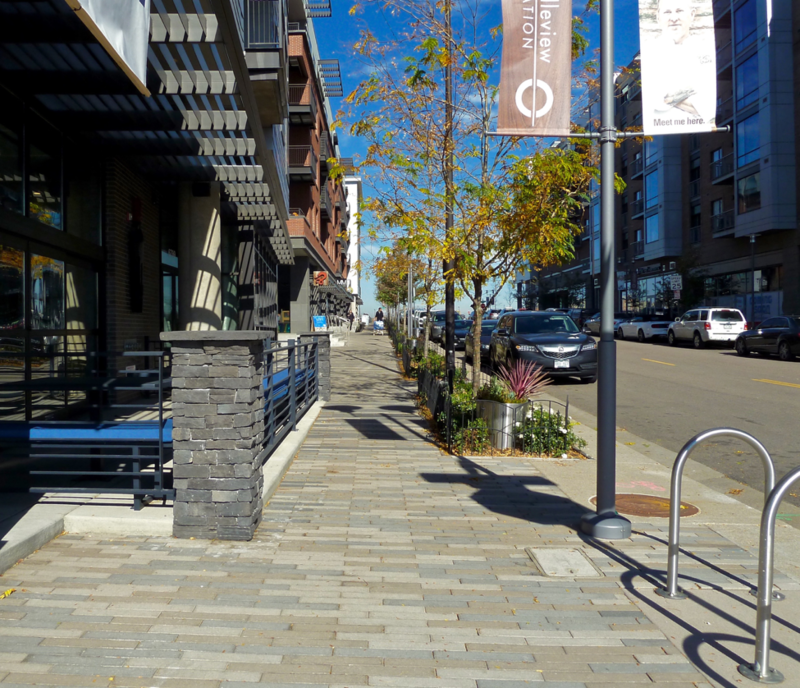 Today, the Maven Hotel and Kachina Southwestern Grill occupy the Northwest corner of the block, and the alleyway between Wazee and Blake will soon offer a unique pedestrian experience, with access turned in towards retail and restaurants. Coined a “micro-district” in the heart of LoDo, Dairy Block will incorporate a storefront by Denver Flea for local Colorado retailers to sell their wares called “Free Market.” Also central to the plan is a food hall called “Milk Market,” overseen by renowned Denver restauranteur Frank Bonanno (of Mizuna, Osteria Marco, Green Russell, Bones, and more) with a whopping 15 original restaurant concepts. Poka Lola Social Club will serve cocktails alleyside, Engine Room Pizza will serve New York style pizza until 3am, and Lou’s Hot & Naked will serve Nashville-hot chicken. Mr. Pink, a live music lounge, will also occupy space in the mixed-use building. 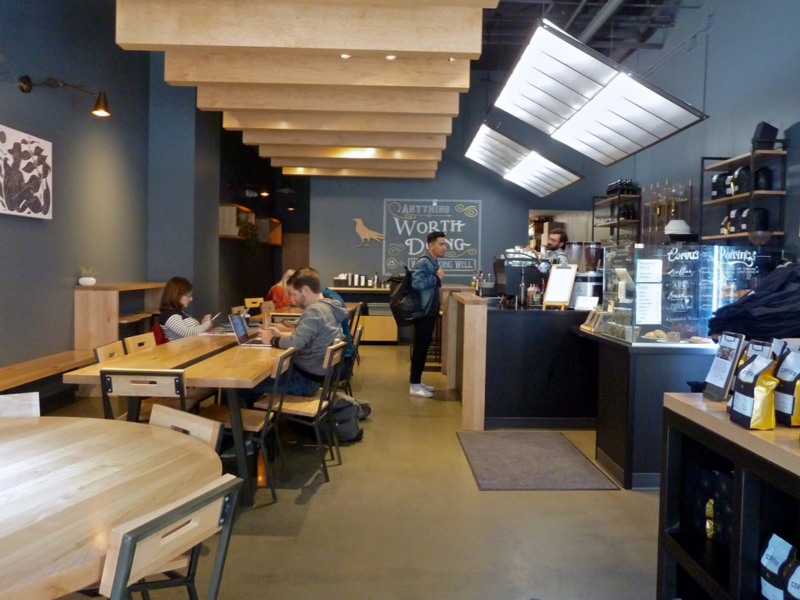 Huckleberry Roasters, a Denver coffee shop, opened their second coffee shop location in the Dairy Block on January 31st. Other retailers leasing space include The Perfect Petal and Seven Grand, a Los-Angeles based whiskey bar. 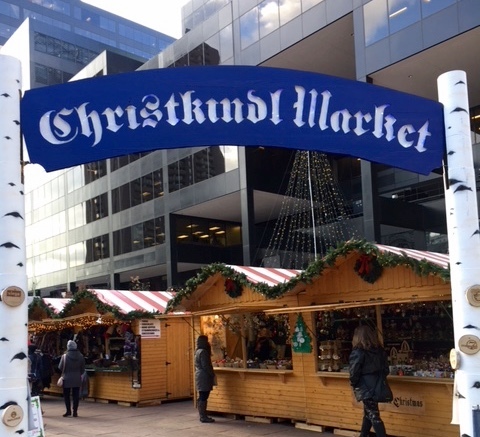 The developers are planning for around 20 vendors as long-term tenants but will also facilitate booth space for local artisans to rent out seasonally. On the Southeast corner, Run for the Roses, an Kentucky Derby-themed bar, will fill the space previously occupied by Delaney’s Bar and The Celtic. 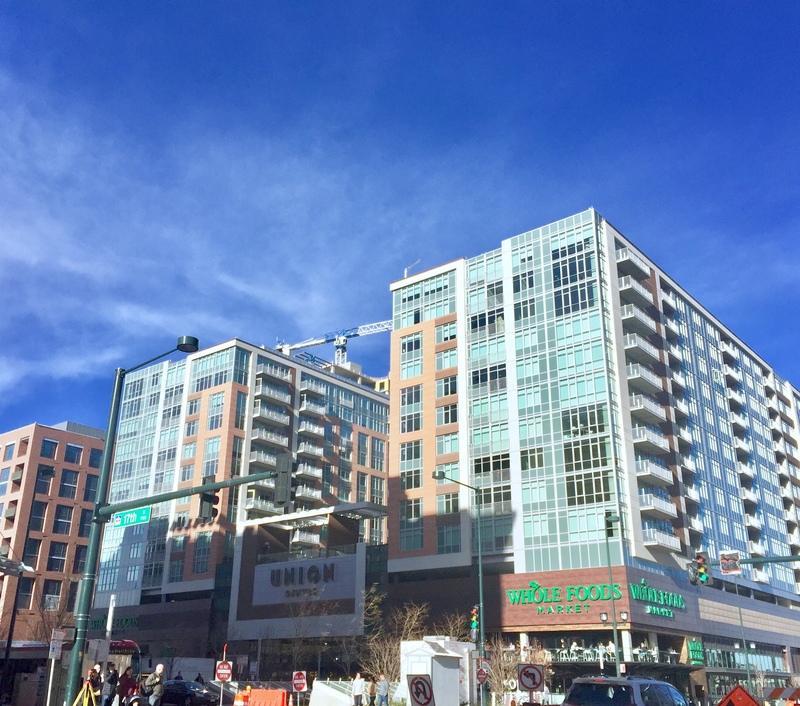 Dairy Block is a collaborative effort by MCWHINNEY, Sage Hospitality and Grand American Inc. Interested in living downtown near Dairy Block? Click here to search nearby homes for sale. Do you find yourself constantly looking online at the photos of beautiful homes for sale? 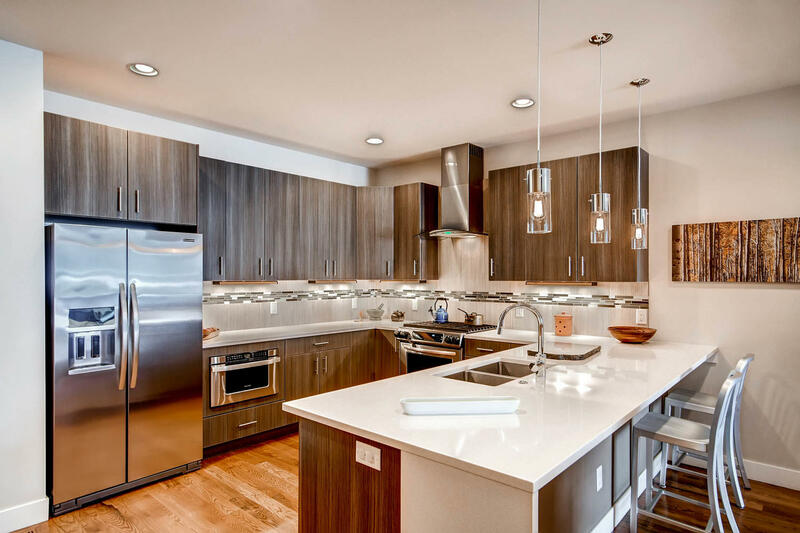 As experienced Denver real estate agents, we get to see thousands of properties per year, from starter homes in up-and-coming neighborhoods to penthouse condos in Denver’s most prominent buildings. We often hear how lucky we are to get to see the insides of so many incredible homes, and we agree! 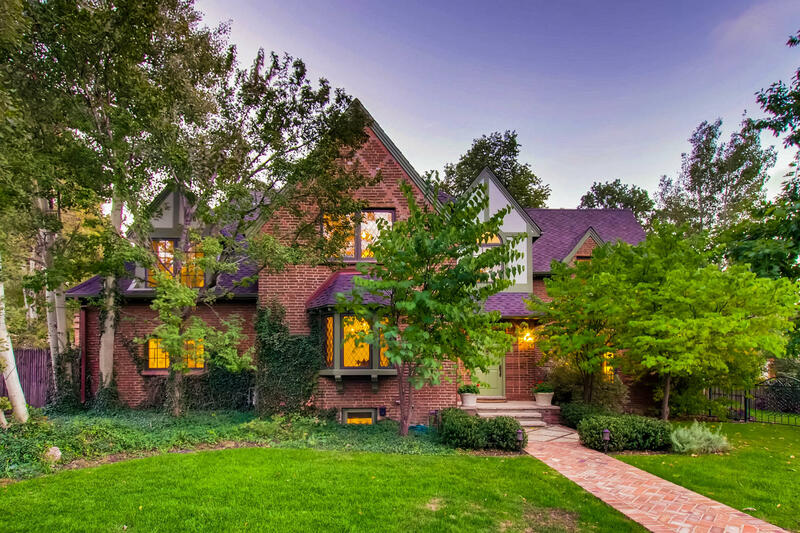 But we think you should be able to see the inside of Denver’s best listings, too. That’s why we created Luxury Listings in Denver. Luxury Listings in Denver is a website devoted to showcasing our favorite new luxury listings in Denver, and we highlight just our favorite luxury listing each week. From the home page, you can browse the most recent luxury listings we’ve featured. Or, click on the different property types on the navigation bar to view only homes, condos or town houses. You can also sign up for a weekly email with the latest featured property. Because of the nature of our fast-moving market, some of the homes we feature may already be sold or under contract by the time you are reading the article. But if you’d like to search all Denver homes for sale, click here or contact us today to schedule a meeting to discuss your search or sale! 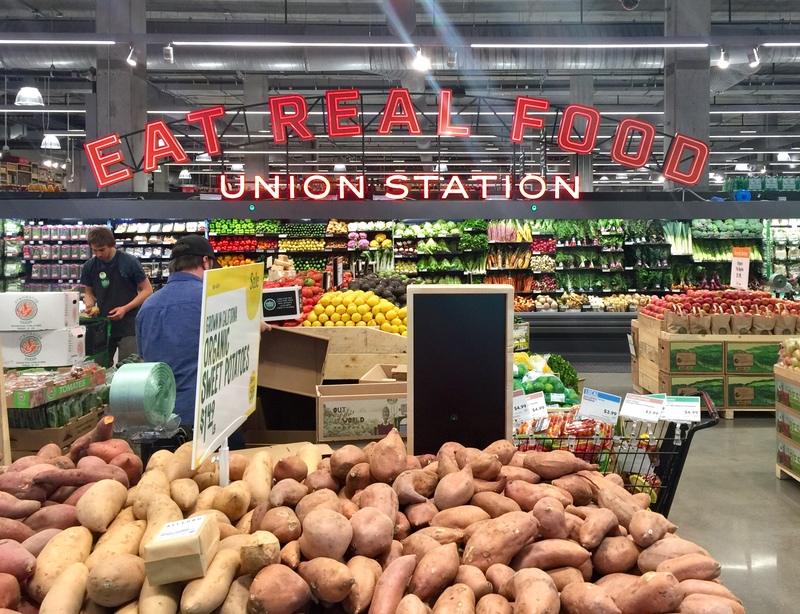 Belleview Station: Good Living, Good Eats, Good Shopping and More! Light rail users and Tech Center dwellers have been waiting for something this Good for years- and it’s finally open! The mixed-use, transit-oriented Belleview Station provides commuters with a pit stop worth talking about. This master planned development creates a destination for commuters and residents alike, with retail, residential and office space occupying the land. Belleview Station, situated on the west side of I-25, spans east to west from Niagara to Quebec and north to south from Union to Belleview. Master developer Front Range Land and Development worked with the owners of the land, the Bansbach family, in whose name the land had been for more than 125 years. The achieved vision? To create a dynamic center where the city meets the suburbs. Corvus Coffee, owned by Phil Goodlaxson, opened its second location in Belleview Station, with this location specializing in cold brew coffee; flights of different cold brews and flavors rotate daily. Some of Denver’s most popular local restaurants and retail businesses have leased space in Belleview station along Newport Street, the main pedestrian thoroughfare. To name a few: Los Chingones, Backcountry Delicatessen, Sushi-Rama, Matthew Morris Salon, A Line boutique and Corvus Coffee. 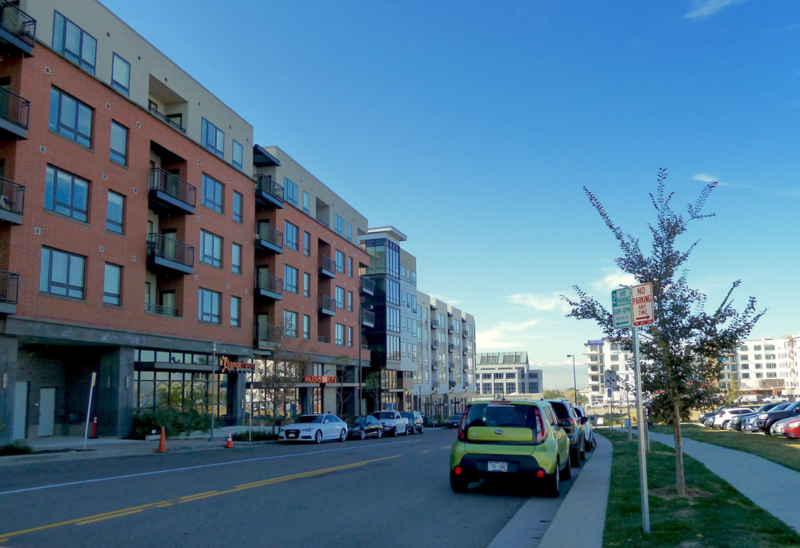 There are also two fitness studios (Orange Theory and Barre3), two luxury apartment complexes (MileHouse and The Den), and several service businesses, all of which are walkable from the light rail. MileHouse is fully leased, but apartments are currently still available at The Den, including studio, one, two and three bedroom apartments and featuring coveted amenities like a rooftop deck, sky lounge pool, garden courtyard, game lawn and fitness room. The station’s website includes the full master plan for the 51 total acres of land, with drawings for each city block. In it are plans for additional office, retail and multifamily space, as well as one to two hotels and more manicured green space. Although still under construction, amenities like the walking paths and dog park are already complete and in use. This suburban center mimics the planning happening in urban Denver- planning that-creates denser, walkable communities. Only here, it’s to serve those that live in the area and aren’t willing to make the drive through traffic to get downtown. Plus, the station has ample parking spaces for commuters, many of which are free for several hours. To search nearby homes for sale, click here. 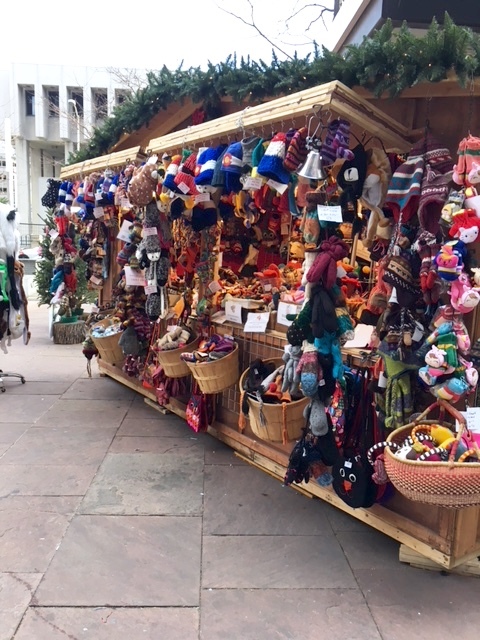 Most of the businesses in Stanley Marketplace are existing Colorado businesses that have opened a second (or third, or fourth!) location at Stanley. 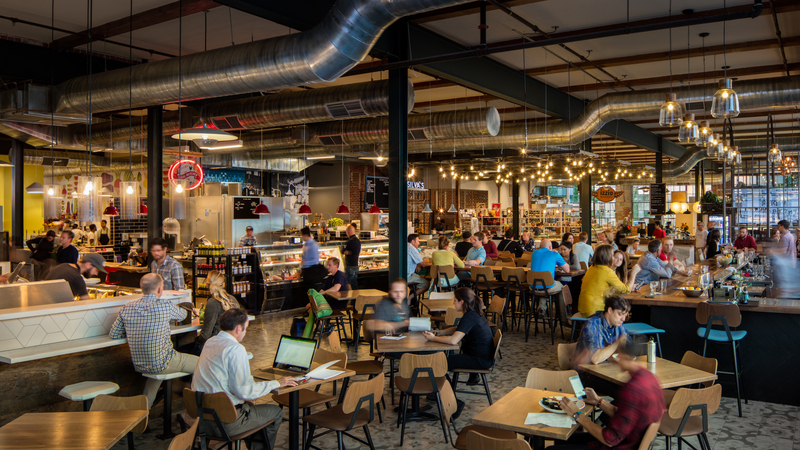 Some of our favorite Colorado businesses, including Rosenberg’s Bagels, Sweet Cow Ice Cream, Endorphin, Kindness Yoga, and Denver Biscuit Company have hubs at Stanley, making it a destination for both neighborhood locals and for those from other neighborhoods looking for a change of scenery. 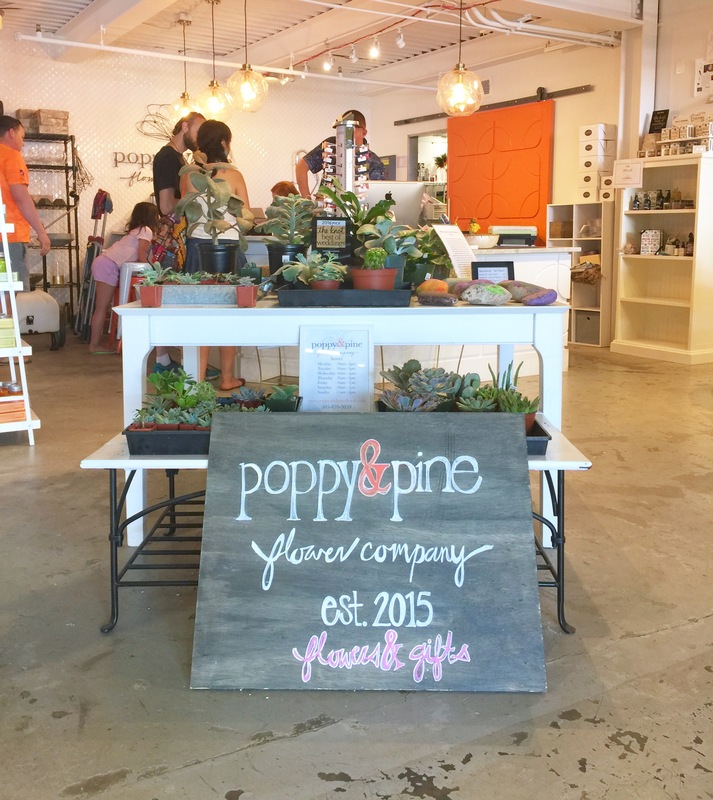 There are also several new or first-time brick-and-mortar shops. 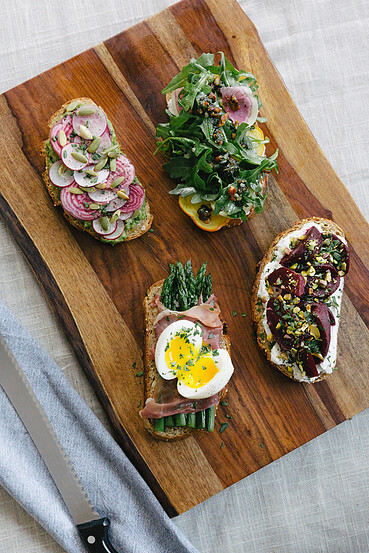 Foodies mustn’t miss a brunch, happy hour or dinner at Annette, a fine-dining restaurant by Caroline Glover (formerly a sous chef at Acorn). 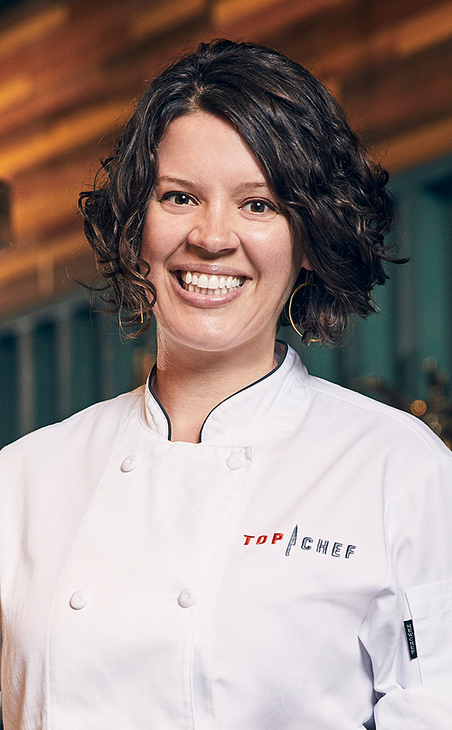 Annette was recently named one of 5280’s 25 Best Restaurants and 5280’s Best New Restaurant in their July 2017 Top of the Town feature. 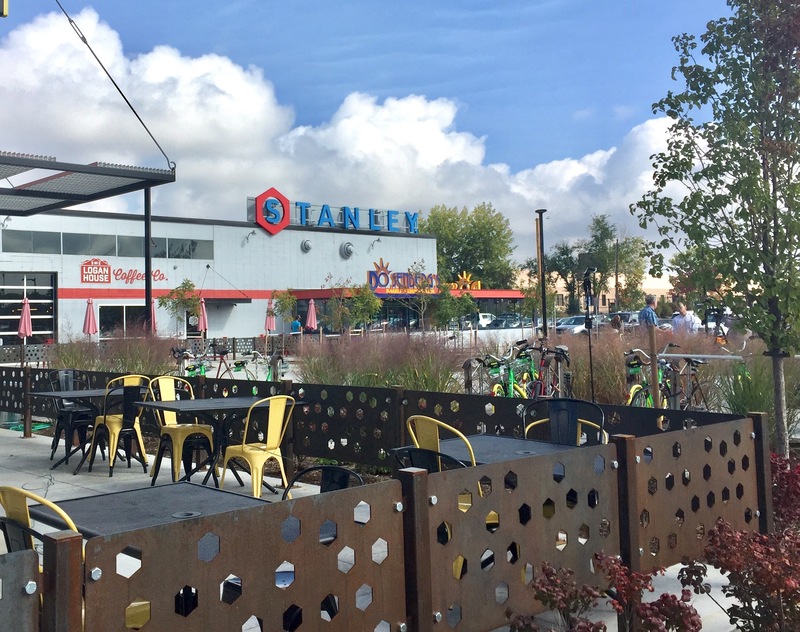 Stanley Marketplace now serves as a hub for the neighborhood, but the planning and construction took years—and an approximately $30 million. Remediation, construction and renovation for Stanley Marketplace began in August of 2014, and while the original plan was for all of the shops to open simultaneously, construction hiccups and other delays forced the openings to span several months. 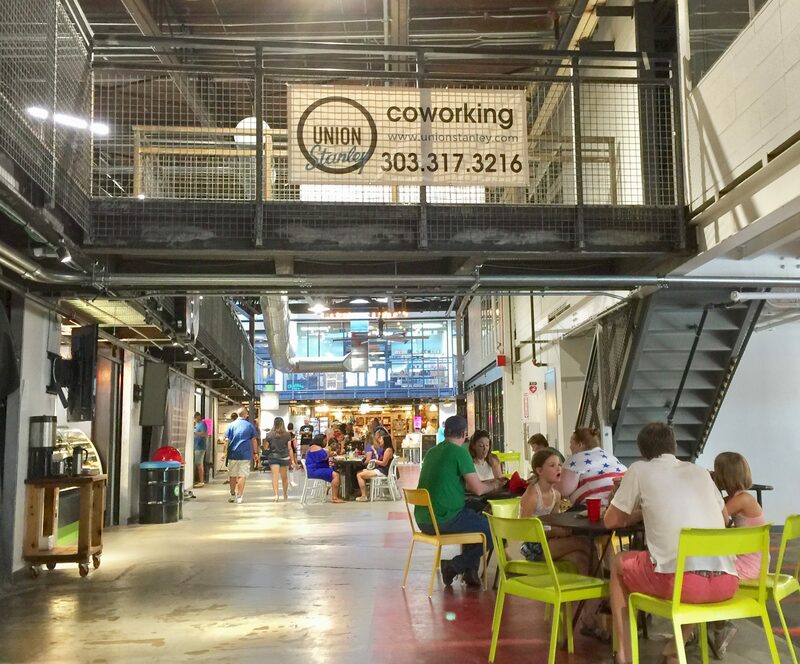 Today, much of the space in the former aviation plant is occupied, and lively metro Denver residents fill the open halls, eating, drinking, working and shopping the day away. Check it out if you haven’t been yet! Stanley Marketplace is located at 2501 Dallas St. in northwest Aurora. To search nearby homes for sale, click here. To stay in the loop, like The Good Life Denver on Facebook and follow @thegoodlifeden on Twitter and @thegoodlifedenver on Instagram! This LoHi listing was sold by David Schlichter in 2016 for $737,800. Median home prices in the Denver metro area ended the year up 11.3% from last year. The average sale price for detached single family homes in the metro area in December was $424,648, and in Denver County it was $472,537. The average sale price for attached single family homes in the metro area in December was $307,247, and in Denver County it was $380,742. The number of active homes for sale in the metro area was down to 6,715 in December versus 8,189 at the same time last year. In Denver County, there were 1,449 homes for sale, down from 1,619 last year. 30-year fixed rate mortgages ended the year at an average of 4.32%. CONTINUED POPULATION GROWTH: Denver will continue to be a rapidly growing city in 2017, which will increase demand for a limited supply of housing. RISING INTEREST RATES: Interest rates have already risen and are expected to rise in 2017. As interest rates rise, homes will become less affordable. The sooner buyers who are currently looking are able to make a purchase, the lower their interest rate will likely be, the more affordable their home will likely be, and the less they will pay in interest over the life of the loan. SLOWING RATE OF PRICE APPRECIATION: Denver has become significantly less affordable in recent years with a rate of price appreciation double that of the national average. Interest rates are rising, making home purchases even less affordable, and our national political and economic environment is defined by unusual uncertainty given a highly unconventional election. All three of these factors will put downward pressure on our rate of price appreciation and likely slow it from the unusual double-digit percentage growth to which we have grown accustomed in recent years. Is 2017 a year in which you think you’ll be selling or buying real estate? If so, let’s get together this month to start to put the wheels in motion. Contact us today to schedule an appointment, or please be in touch if someone you know is considering buying or selling a home in 2017. 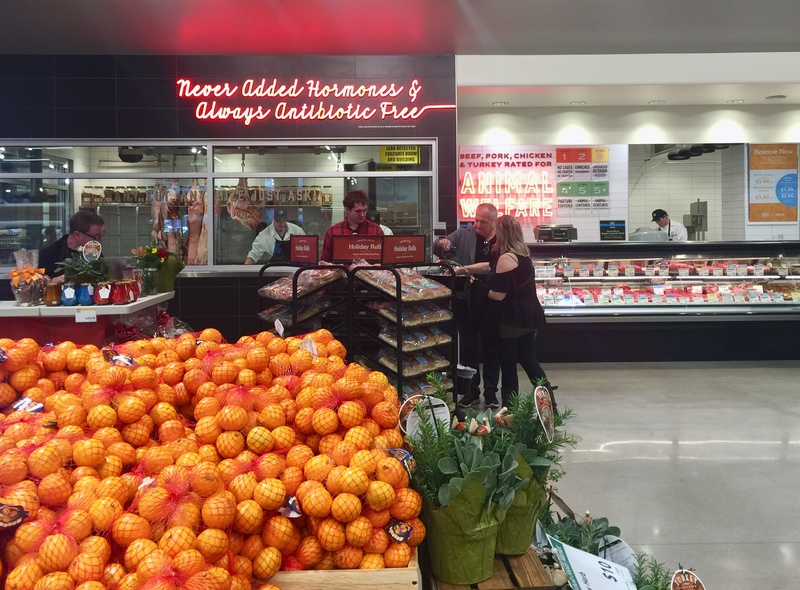 The Denver Central Market opened its doors in late September, and the finished product is spectacular. 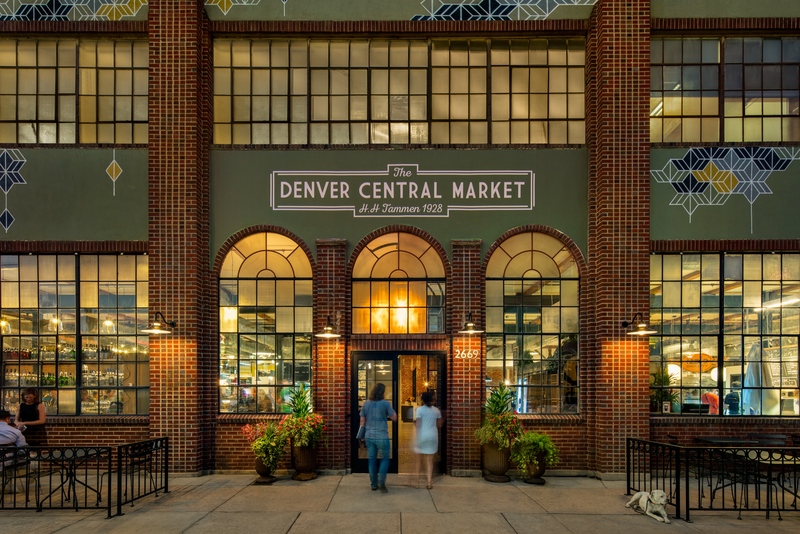 Envisioned by developer Ken Wolf and restaurateur Jeff Osaka, the Central Market is a combination of a gourmet market and food hall at 27th and Larimer that houses eleven quality food/beverage vendors. 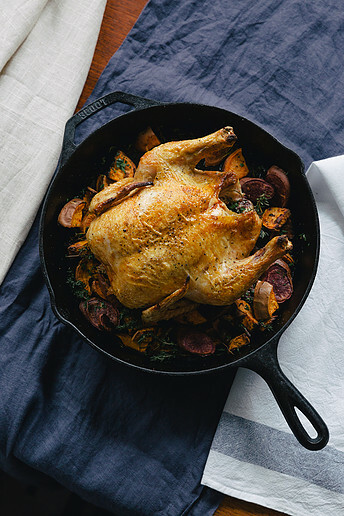 Whether you’re in the mood for baked goods, fresh fish, a pizza, ice cream, chocolates, coffee, a drink, a sandwich, a plated meal, or just fresh ingredients for your next home-cooked meal, the Central Market has you covered. 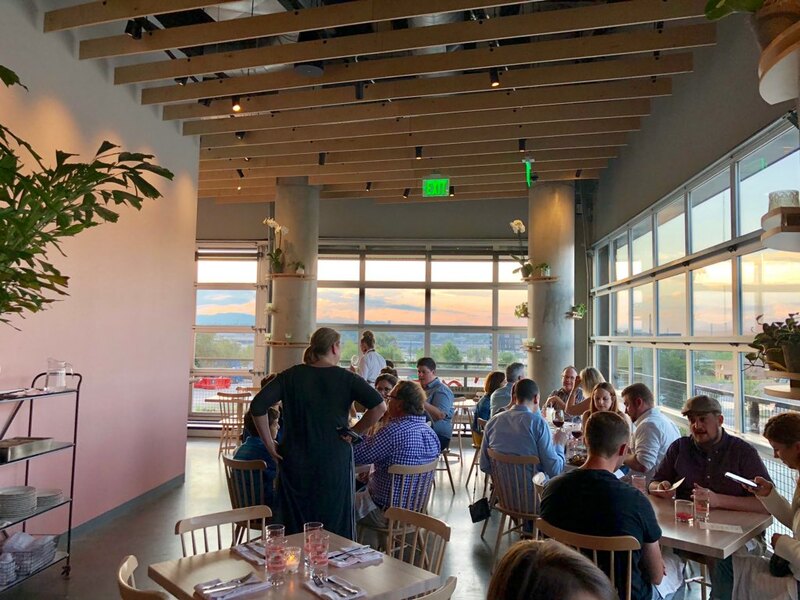 Starting with The Source, followed by Avanti, and with Stanley Marketplace opening soon, food halls have taken off recently in Denver (not to mention Union Station). 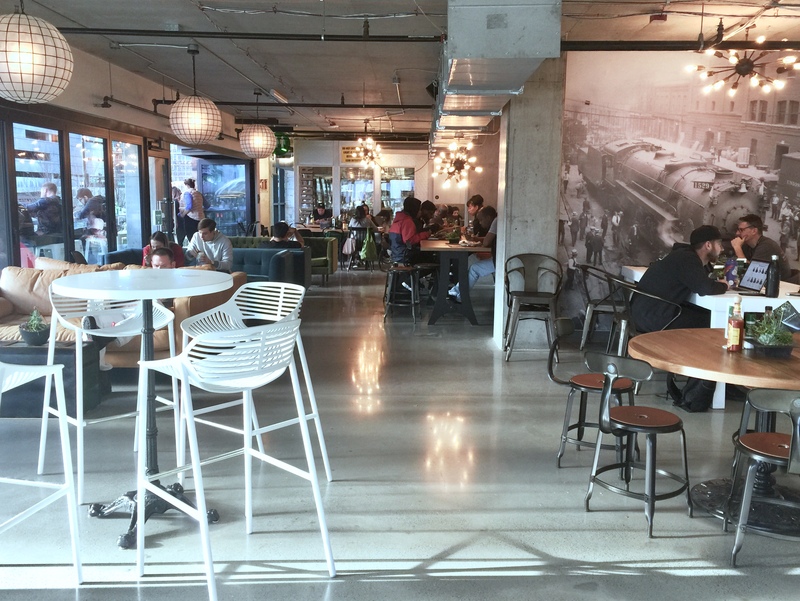 At the Central Market, the execution is top-notch, the quality of the food is exceptional, the rehabilitation of the building celebrates its history infusing tasteful contemporary finishes, and the resulting ambiance is exciting and invigorating. What’s more, the fact that the Central Market offers fresh meat and fish, produce, and dry and prepared foods for sale is a huge asset for the neighborhood. Grocery options have been minimal in the area, so this is particularly important as RiNo becomes more populated with new residential infill. 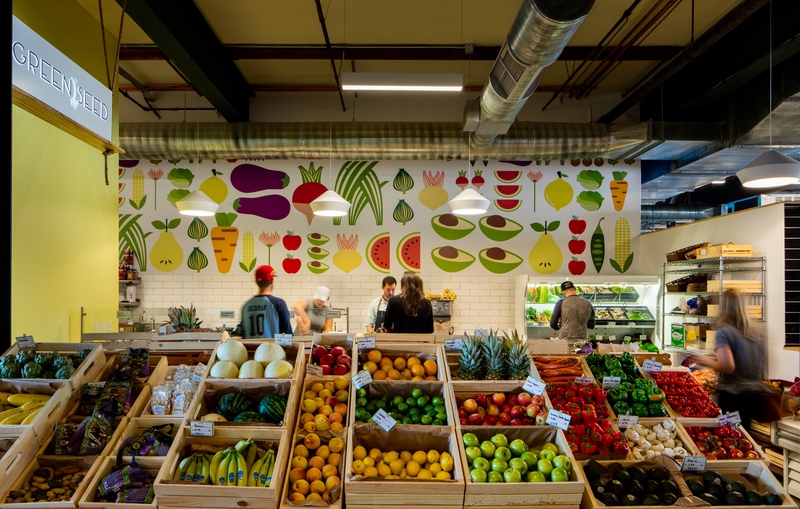 Click here for a link to a great Westword interview of Central Market founders Ken Wolf and Jeff Osaka, and be sure to check out the Central Market soon! I’m sure you’ll be as hooked as I am. The Denver Central Market is located between 26th and 27th on Larimer St. Interested in living near the Central Market? Click here to search nearby homes for sale.